Autoptimize makes it easy to optimize. How does it work? All your scripts and styles will be compressed, minified, concatenated and cached. The HTML code itself is minified – making your pages lightweight. This is especially good for performance on mobile devices. These characters aren’t necessary to properly run your code, but they make it easier for humans to read the code. Essentially the code is reduced so it can be interpreted faster. Clean, concise code will deliver your content much faster. 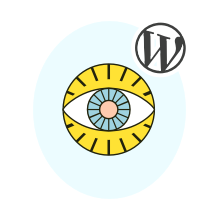 There aren’t many minification plugins for WordPress and Autoptimize is one of the best. This plugin addresses a very simple yet important part of web performance. Autoptimize is lightweight and easy to setup. All you have to do is check a few boxes and you are done. This is a well written plugin that is compatible with themes that follow the WordPress coding standards. The plugin authors have also been dutifully helping with support issues as well. If you care about performance, you will want to get as much mileage and speed out of your website as possible. If you want to get more mileage out of your executable code, than this plugin is worth a test drive. For experienced WordPress users, there are lots of advanced options you can configure. You can customize this plugin to do exactly what you need it to.